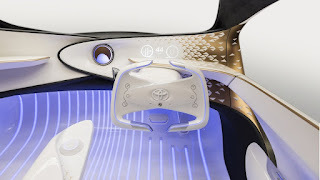 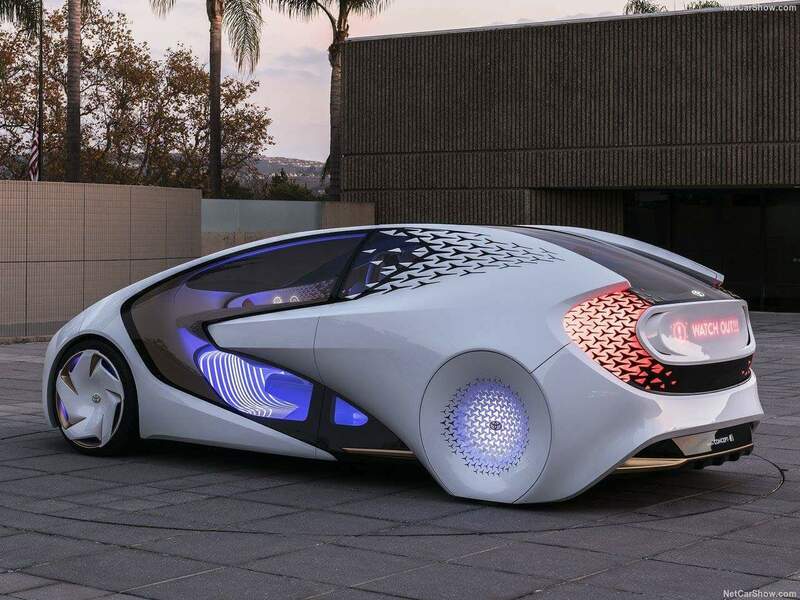 Toyota has got a new concept and it is absolutely a killer! 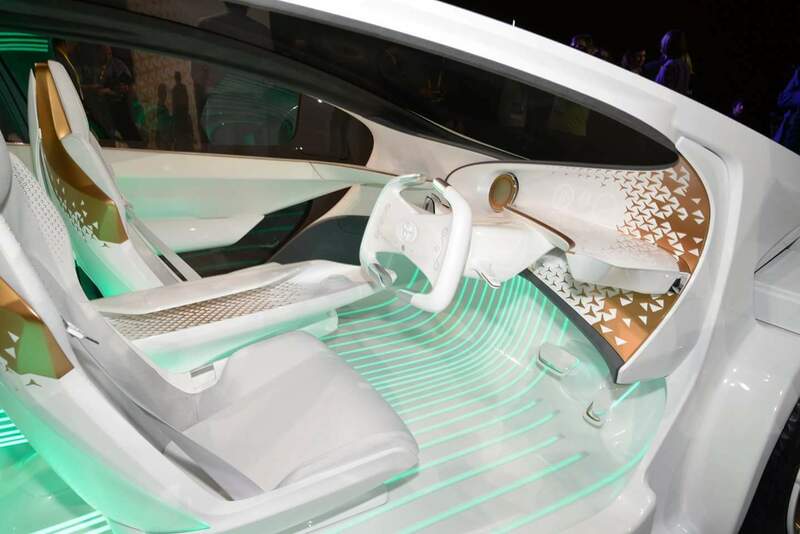 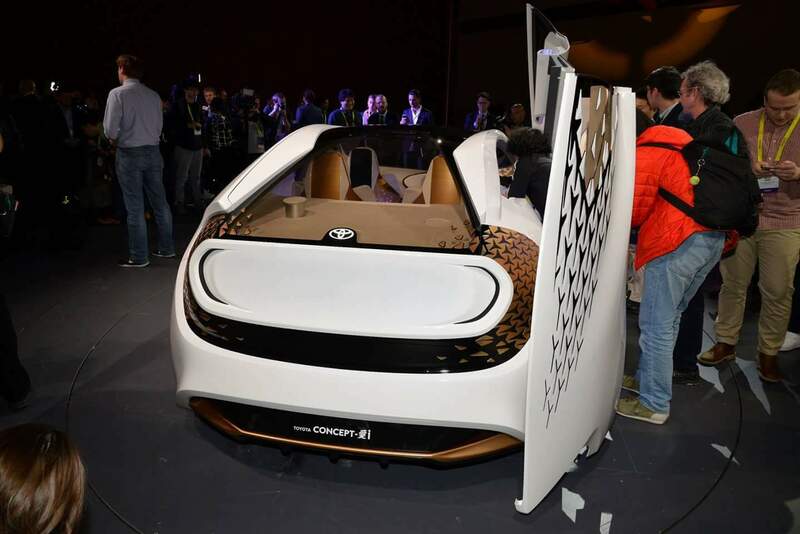 The automobile giant revealed the Concept-i at CES 2017, a new concept vehicle that learns from you and is loaded with lots of artificial intelligence features such as eye-blinking, notifications and other human-inspired characters. Firstly, an exquisite exterior gives off a sparkling imagination of the ambience inside. A sci-fi kind of design including the taillights, the front beams which blink and act like a human eye, geeky wheels and a white paint all add to the scientific nature of the car. Secondly, a soft, brilliant and unique interior with minimalistic components create a spacious cabin and makes you feel at home with its autonomous driving system and specially-designed, interactive and high-tech side features. 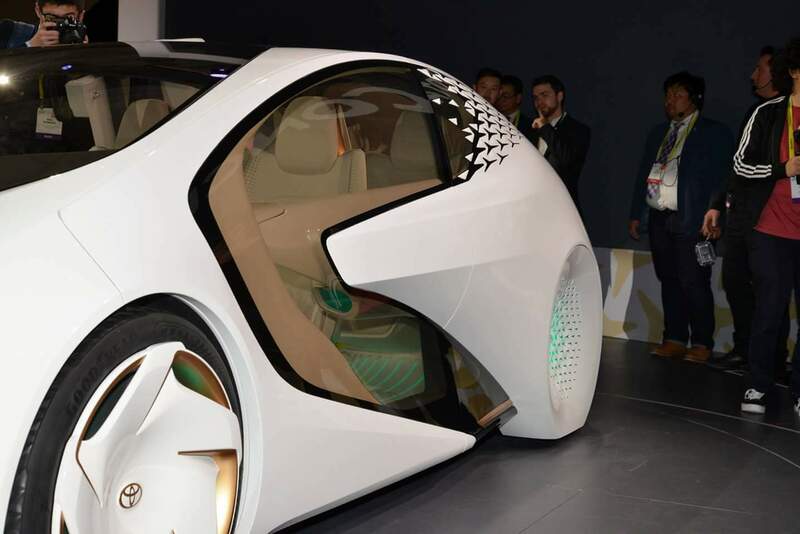 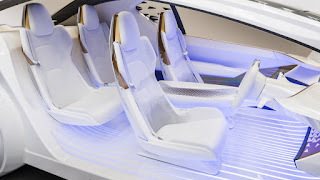 “We’ve been working on this for approximately two years, and we’re trying to create a futuristic vision for the 2030 automobile that’s really fun to drive,” Chergosky explained. 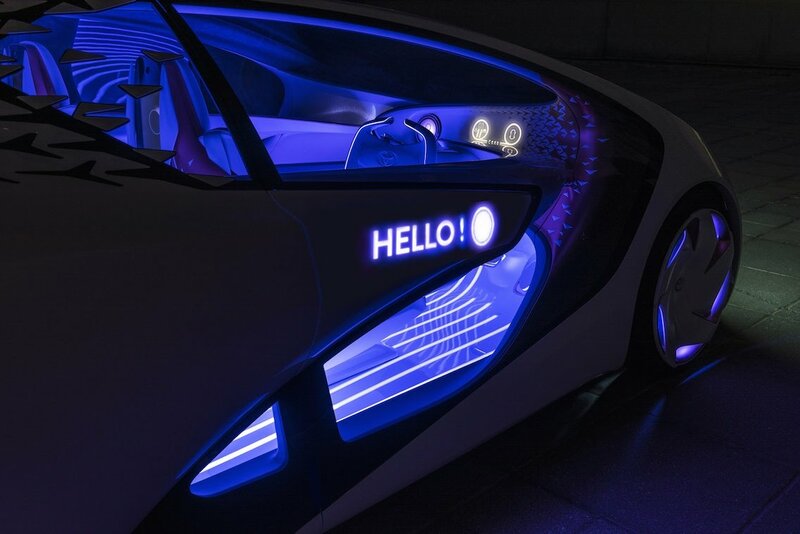 “As everyone’s moving towards an autonomous future, what’s Toyota’s vision of that? 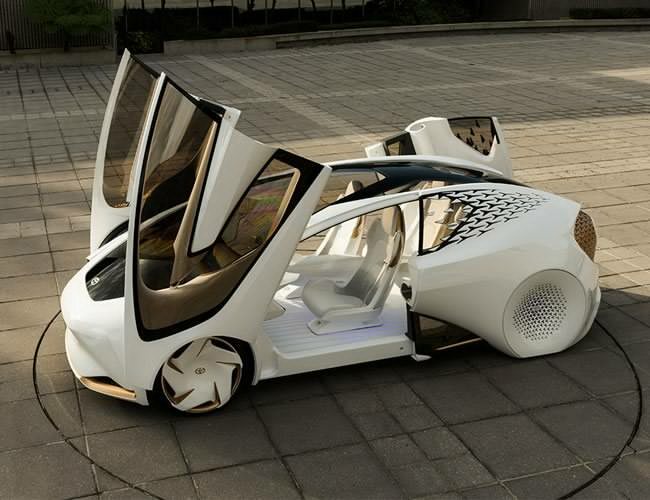 We had a real fundamental belief in this idea of ‘waku-doki’ – getting your heart racing. Is that something that dies with this future? 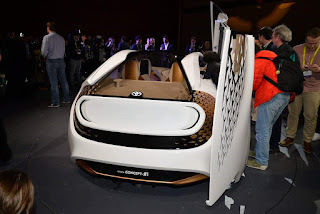 I don’t think it is.” Toyota stated. 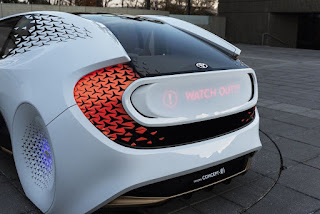 The Concept-i can interact with other road users and pedestrians through its exterior lighting system; tell others whether it’s in manual or autonomous drive mode, greet drivers or passengers approaching the car and notify drivers behind about upcoming road hazards or turns.